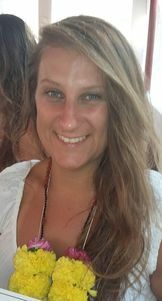 Becky Khalil is the Founder, Director and CEO of Shanti Atma Yoga. She is an E-RYT 500 certified yoga teacher trainer who specialises in Yin Yoga, fascial studies and teaching methodology. Becky trains yoga teachers and helps them elevate their yoga teaching career, overcome challenges in their teaching, boost confidence, and develop and deepen theory and practice of yoga. Becky also mentors and coaches her student / associate in the running of Shanti Atma Yoga New Zealand, as well as her international teaching team. Originally coming from a meditation background, having completed several vipassana courses, I believe that every moment in life provides an opportunity for mindfulness and the practice of yoga. ​After completing her Masters Degree in International Development and Tourism Becky moved to Latin America to work in international and community development. She started teaching yoga on a rooftop in Guatemala as part of a woman’s yoga collective which then took her to India to search more in-depth from the motherland of Yoga. Upon her return to Guatemala she visited the Ecuadorian Amazon Jungle for a work trip where she experienced her first taste of yoga tourism, teaching asana in an indigenous jungle location among the trees and tropics. Becky’s yoga journey started in 2007 when ​she started to practice in England due to lower back pain and an uncontrollable mind. She followed her passion of studying and teaching yoga from Guatemala to India, Ecuador, Panama, England, Indonesia, Sri Lanka, Taiwan, Spain and back to India, where she used to live and work training yoga teachers on 200 & 300 hour courses, as well as specialist Yin yoga YACEP courses. Life can change in a second so make sure that you work towards your dreams! In winter 2016, Becky’s Mother passed away and something within Becky shifted. She suddenly felt from the bottom of her heart that fear had no place in her life. Life is too short to be anything but happy, to do anything less than exceed your potential in happiness and health, and to strive for nothing less than the lifestyle that you have always dreamed of. As a result, in summer 2017 Shanti Atma Yoga was born and Becky and the Shanti Atma Yoga family now teach Yin Yoga and Yin Yoga related continuing education courses worldwide. While respecting the ancient tradition from which yoga originates, Becky and the teachers at Shanti Atma Yoga take a strong standpoint of anatomy regarding yoga education. Often we bring it down to the why and the how. Becky has a prominent love affair with Yin yoga because of its relation and hidden connection to 4 dimensions of the body (physical, mental emotional and energetic). In particular her passion is sharing the way that Yin yoga targets the inter-connected web of fascia connective tissue, which encourages a natural unwinding of the body’s matrix of tension, known as myo-fascial release. This has always been a driving force for extended research and special workshops. The Chinese 5 Elements give Becky and her teaching team a lifetime supply of inspirational ways to create classes, workshops and retreats to make yoga accessible to all body types, and the mind-spirit complex. Whether a practitioner or a teacher, we are forever students and the more we research the more we build our layers of education from multiple angles. The courses offered by Shanti Atma Yoga and partners are all designed to broaden teaching expertise from the experiential and practical level, while deepening and developing self-practice. Whether you have arrived here through asana, meditation, mantra, lifestyle, philosophy. spiritual development, aromatherapy or any other wellness practice the Shanti Atma Yoga family warmly welcome you. Empower. Connect. Inspire. Aspire. Retreat. Eat. Nourish. Sleep. Move. Groove.